What some may call “extracurriculars,” the enrichment activities at St. James Preschool are part of the curricular program. Thanks to the fundraising efforts of our generous community, these are offered to all, at no extra charge. 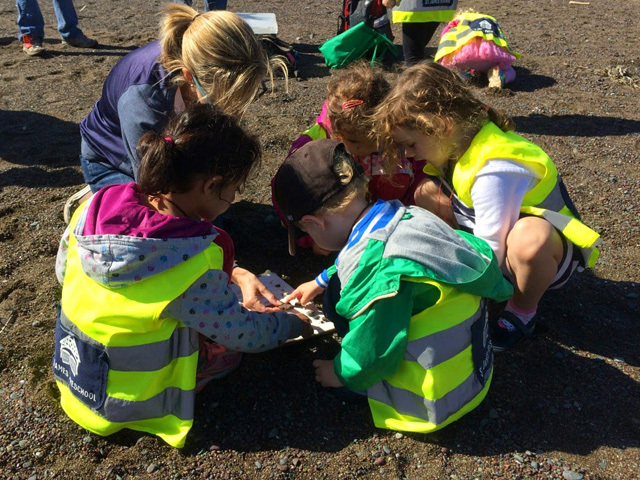 Our preK class takes monthly trips to the Marin Headlands on the big yellow bus to learn from the naturalists at NatureBridge. This innovative environmental science program was the first of its kind for a preschool in San Francisco. Activities are inquiry-based and engage preschoolers’ sense of wonder and guide their natural curiosity during outdoor adventures. Learn more about NatureBridge here. Barbara Murphy, better known as Teacher Barb, is a highly respected and sought after music teacher of young children. Many years ago, we invited her to teach music to St. James Preschool children in our classrooms, and we couldn’t imagine our days without her infectious energy. In addition to weekly classes, she produces our delightful holiday sing-along and graduation concerts. Learn more about Teacher Barb here. SJP’s Great Books Project supports families in their efforts to spark an interest in books and the motivation to read. This home-lending library sends each child home every two weeks with a tote bag of books. By the end of the school year, children and their parents are exposed to approximately 50 exemplary picture books, with a focus on hidden gems and worthy titles from the last decade or so. 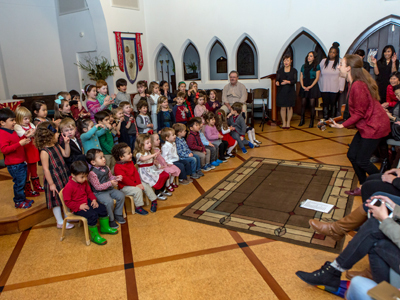 St. James Preschool has long aimed to provide high-quality and age-appropriate “movement” education to our children by bringing in outside specialists. While playing games, children develop balance and coordination, build confidence, and improve their social skills. We are pleased to have Teacher Marci from My Gym handling this important role. Learn more about My Gym here. 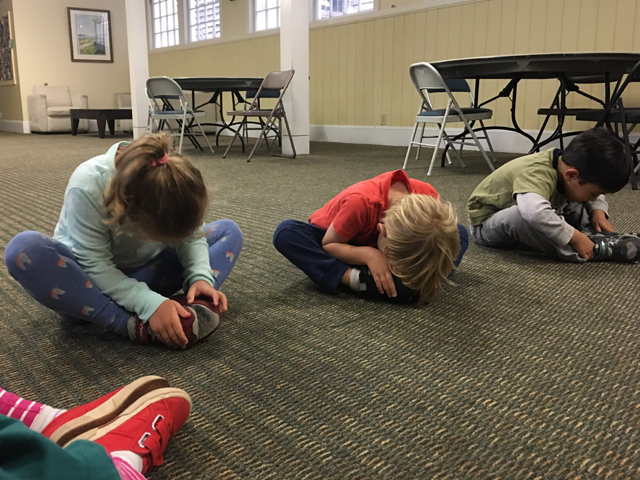 "I love that my son gets to go on hikes with naturalists, work on his coordination with a physEd specialist, and shake, rattle and roll with the best music teacher in town — all without me having to enroll him in extra afternoon and weekend classes. It’s just part of a regular school week at St. James."